Can your child plays sports in High School if you continue to Home School? This was always a big question asked of me, and that I continued to investigate myself. I played Varsity sports in Oklahoma for private schools and then played Varsity Volleyball and Tennis for Marshfield High School in Oregon. It was an important formation of my identity as a teen that carried forward to adulthood. In Oregon– the answer is Yes! Under ORS 339.460 Home school students authorized to participate in interscholastic activities. We work through the OSAA guidelines that includes – making arrangements with the public school where we reside in order to participate in interscholastic/extracurricular activities or attend a public school class. This scope includes High School Sport participation. My older son participated in Track and is now enrolled at the local high school for classes and to attend the community College. He is not longer enrolled with the homeschool district. My younger son will most likely remain a full time home learner through the Lane, Benton, Lincoln County Educational Service District for the duration of High School. This puts us in a partnership for him to participate in team sports. So far, he has been a Varsity Wrestler and will start Track & Field today, and may play Baseball next year for JV. The first requirement is to the OSAA. Testing is required with a certain percentage before August 15th (check this every year as it changes) at the end of the 9th, 10th, & 11th school year to participate in the next year’s events. The percentage is higher than Oregon’s ESD requirements to remain a homeschooler. Next is the arrangements with the Public School. It is a good thing to give your family time, before the sport begins to make sure you are able to play. At our local high school, students are required to be passing 5 classes and enrolled in 7. They ask for grade reports throughout the year. Which led me to my task today. 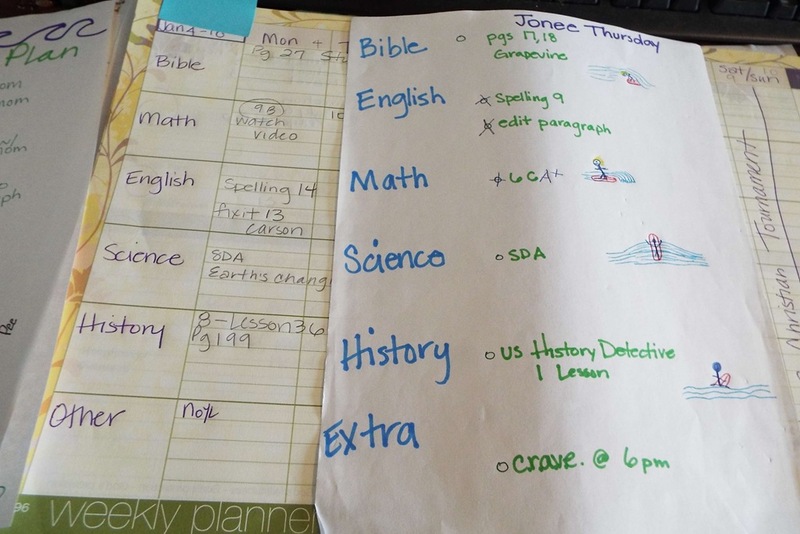 Compiling the information from paper, a bit from my online planner – into Homeschool Tracker Plus which generates professional transcripts and report cards. Since we come from a Charlotte Mason, Education is a Life – sort of unschool – Delight Directed – Project Driven background – this has brought change to our learning days. We now have curriculum for Math, English, Science, History and Bible. It is still living books based and form fitted to our teaching and learning styles. Math, English and Science have a video based tutor with workbooks. We still learn year round, although the transcript is fitted to the local high school semesters. I didn’t take the time to list all of the electives – which brings me to another – ninth grade specific – issue. We consider high school – a four year journey, year round. You might notice that Jon has only done one semester of Spanish. He’s also done Latin, but I didn’t write that down. We’ll pick it up again this spring or summer, or maybe next fall. His English 1 is a combination of several courses – and we are about to add another. It would be ridiculous to add all of the things we call electives. But at the end of the four years, they do form more clearly into what would be considered a project well pursued and information taken in and skills exhibited. This year, there is a lot of field trips and internships happening. What about Grades? For Nate – it was easy – he made 100% on everything he did. He never moved on without figuring out the last step. 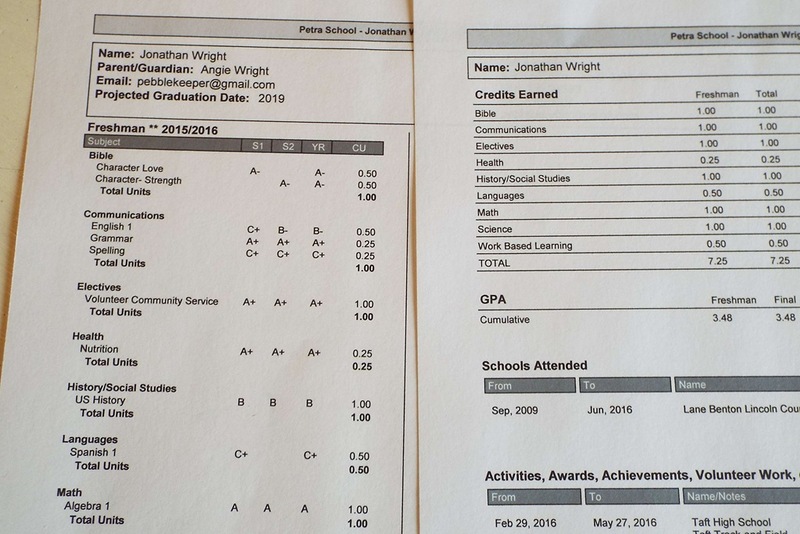 For Jon, I really had to stop and be realistic with his grades. Yes, we all know that in Math U See and Excellence in Writing, we are not allowed to go to the next lesson until the lesson before is 100%. However, this year, that pace has been slower. So I didn’t give him the final lesson grade, but rather the week by week grade. What was happening to slow down the lesson progression? This is reflected on his report. It is another accountability spot with his team mates. It isn’t fair to say – I make a 100% or I don’t move on, but you’ve spend 2 weeks doing a 1 week project. Should that still count as an A? Did he put enough effort into the entire lesson? Does he skip parts? Does he go back and finish first drafts into final reports? Hmmm. Not a 100% A + Student. Ha. 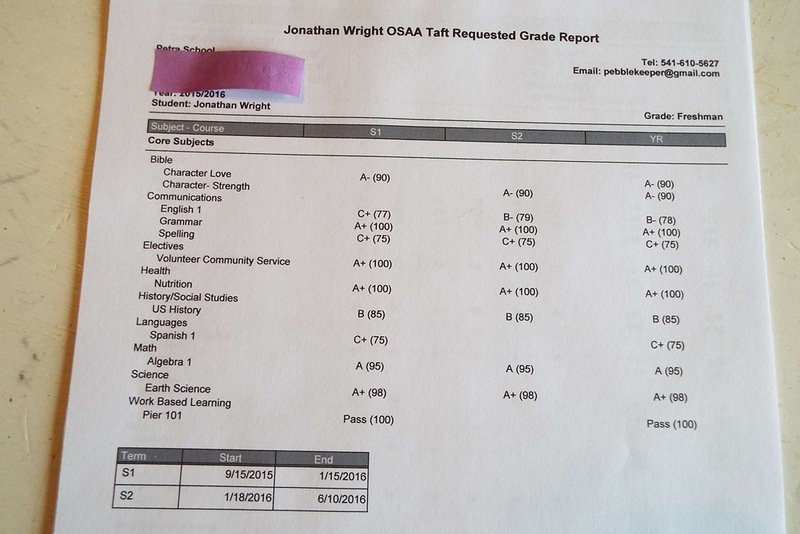 What is good, is that now his 9th grade year is fully into Homeschool Tracker Plus. 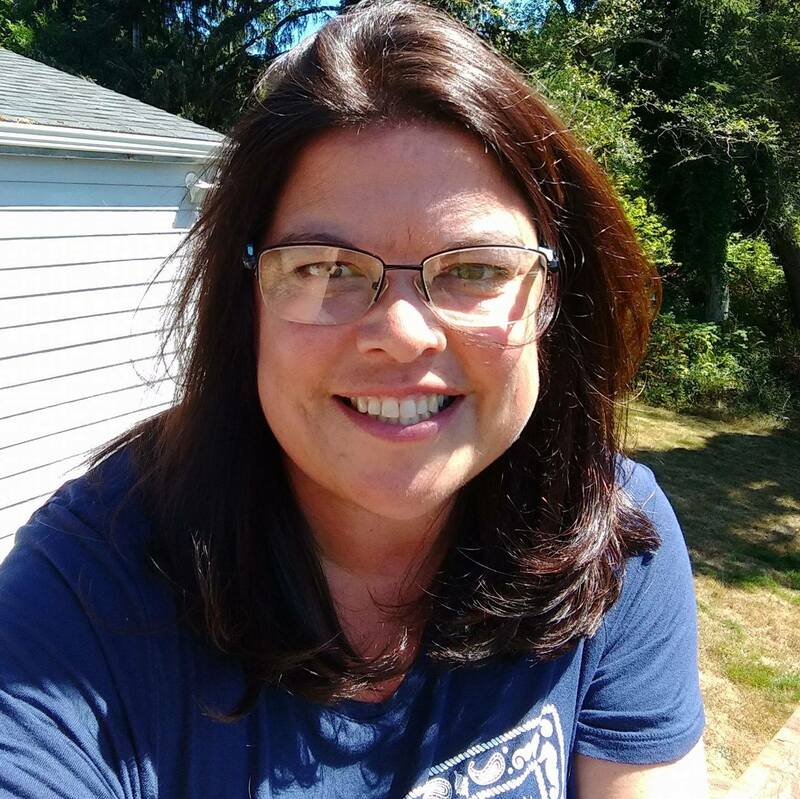 I have also been using Homeschool Planet – and love it for the online planner, but I didn’t like the way the reports printed, being used to HST+. 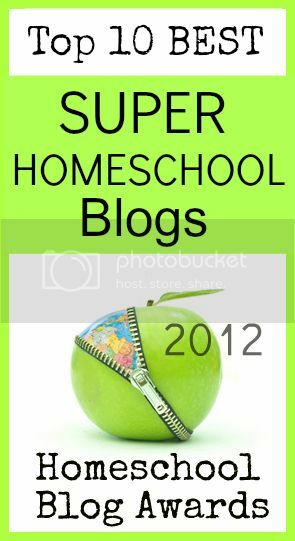 Why is this important to us as homeschoolers? We live in a tiny coastal tourist town. Our teams need every age level able bodied student to participate to make the teams functional. My sons love participating. We like having an outside source for accountability – along with the curriculum reviews from the Schoolhouse Crew. So it was worth it to form a partnership and participate. Most families, and quite a few of the staff, don’t seem to know that we even homeschool – as we are at the school almost every day. Ha. I even joined Boosters this spring. If you live in a large population area – maybe look into the Private School team options, even for those, in Oregon, many still go through OSAA. Any direct questions? Feel free to ask! This entry was posted in Home Learning, Learnin' Thoughts, Some Schooling, Sports and tagged grades, High School, homschool, HSBlogger, Oregon, public school, Requirements, sports, transcripts. Bookmark the permalink.